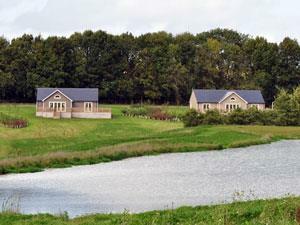 Wakes Hall Lodges01206 563222work01206 564025fax Self-cateringSurrounded by 500 acres of private country land. Wakes Hall Lodges offer the ultimate place to escape the city or your hectic lives. Our prestigious self-catered accommodation is the perfect place for a couple or family to spend some quality time together. Our five eco-friendly state of the art lodges, each with its own hot tub, have recently been built and boast the latest technology as well as high-speed satellite Wi-Fi, a superb quality sound system a superb, fully-equipped kitchen. Our master en-suites have a free standing bath and walk-in waterfall showers. Second bedroom en-suites have a walk-in waterfall shower. The super king sized beds ensure absolute comfort and the hi-tech, super insulated build not only means that your lodge is carbon neutral but also means that you will be lovely and warm throughout your stay. Surrounded by 500 acres of private country land. Wakes Hall Lodges offer the ultimate place to escape the city or your hectic lives. Our prestigious self-catered accommodation is the perfect place for a couple or family to spend some quality time together. Exit the A12 at Junction 26 and follow signs to A1124 (Halstead). Continue on the A1124 to the village of Chappel. Shortly after Chappel the entrance to the lodges can be found on the right hand side. Follow the signs on the estate road and your parking area is directly outside your lodge.